The second volume in a series dedicated to fossil discoveries made in the Afar region of Ethiopia, this work contains the definitive description of the geological context and paleoenvironment of the early hominid Ardipithecus kadabba. This research by an international team describes Middle Awash late Miocene faunal assemblages recovered from sediments firmly dated to between 5.2 and 5.8 million years ago. Compared to other assemblages of similar age, the Middle Awash record is unparalleled in taxonomic diversity, composed of 2,760 specimens representing at least sixty five mammalian genera. 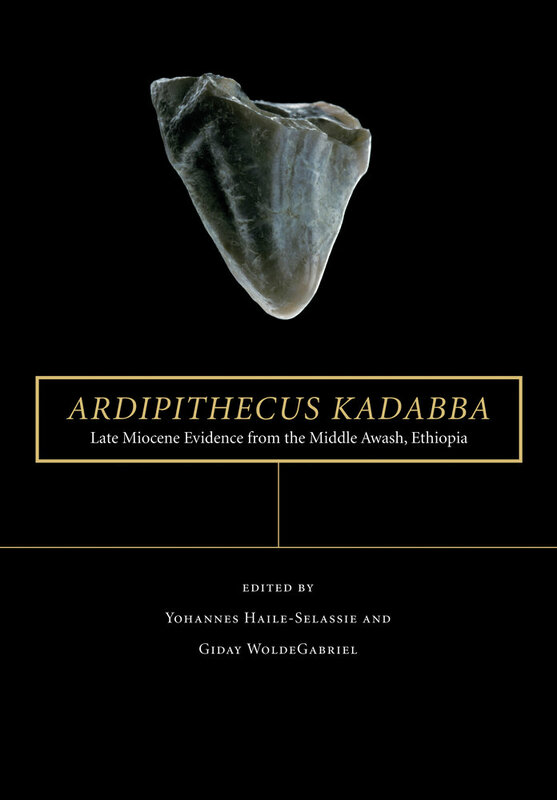 This comprehensive evaluation of the vertebrates from the end of the Miocene in Africa provides detailed morphological and taxonomic descriptions of dozens of taxa, including species new to science. It also incorporates results from analyses of paleoenvironment, paleobiogeography, biochronology, and faunal turnover around the Pliocene-Miocene boundary, opening a new window on the evolution of mammals, African fauna, and its environments. Yohannes Haile-Selassie is Curator and Head of Physical Anthropology at the Cleveland Museum of Natural History in Ohio. Giday WoldeGabriel is a geologist at the Earth Environmental Sciences Division at Los Alamos National Laboratory in New Mexico.